This week we are proud to feature three poems by the Angolan-French poet Landa wo, in which he blends enquiries into human nature with nature itself, and transforms the silence and stillness of the world into the qualities of song. 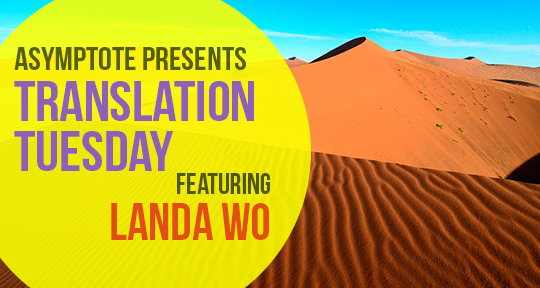 We hope you enjoy it, and don’t miss next week’s Translation Tuesday! I would not keep her on a leash.